After a touch weekend of tennis in Round 4 and 5 of the Tennis Victoria Premier League our Men’s and Women’s teams both sit 2nd on the table. This week will see the last round of the home and away season played at our club starting from 12.30pm. 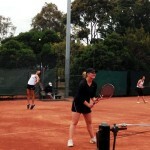 Below is Tennis Victoria’s weekly wrap. After a sensational weekend of Tennis Victoria Premier League action, the final round looms for all teams as the heavyweights and pre-season favourites of the competition cement their grip on top spot of the ladder. After four rounds of competition, Liston Tennis Club lead the women’s league by four points to reigning premiers MCC Glen Iris Valley, while Kooyong Lawn Tennis Clubremain undefeated and sit atop the ladder in the men’s competition, just three points clear of MCC Glen Iris Valley. In one of the highlights of the weekend’s competition, Kooyong reversed last season’s grand final loss to Grace Park Hawthorn Club with an epic win by just one set after the match was deadlocked at 3 rubbers all. The loss has left Grace Park Hawthorn Club sitting precariously in third spot and they face a must win match versus Dingley Tennis Club to keep their finals hopes alive and a shot at a fourth consecutive Premier League title. Royal South Yarra Lawn Tennis Club kept their slim finals chances alive with a big upset victory over the previously undefeated MCC Glen Iris Valley, meaning the battle looms for a preliminary final berth for a host of clubs this weekend. 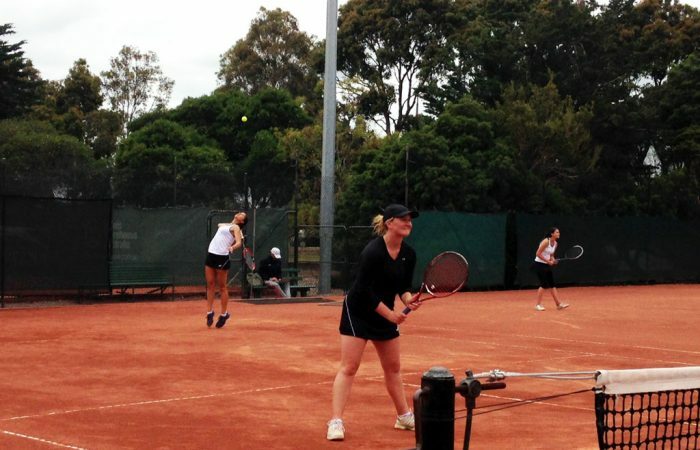 In the women’s league, Liston Tennis Club cemented top spot and sit four points clear of the second placed team MCC Glen Iris Valley, with a commanding win over the previously undefeated Kooyong Lawn. Liston was led by 2016 Rio Olympian Arina Rodionova and Canberra’s Alison Bai. Last season’s winners MCC Glen Iris Valley look dangerous and appear to be peaking at the right end of the season with a potential Grand Final rematch from last season a distinct possibility. The final round of the season will take place at MCC Glen Iris Valley Tennis Club this Sunday 4th December, with all of Victoria’s best male and female players on show at the one venue in a Super Sunday of tennis. Play commences at 12:30pm. Following completion of this weekend’s play, the top team will advance straight to the Grand Final to be played on Sunday 11th December at 1:00pm, while the teams finishing second and third will battle it out in a Preliminary Final on Friday 9th December with play commencing at 4:00pm.